I received a cheese-making kit for Christmas, and since today is my last day off before heading back to work, I decided to try it out. It couldn't be easier to make fresh mozzarella. You start by heating a gallon of milk and citric acid in a large pot. The acid helps move along the process of separating the curds (solids) in the milk from the whey (liquid). 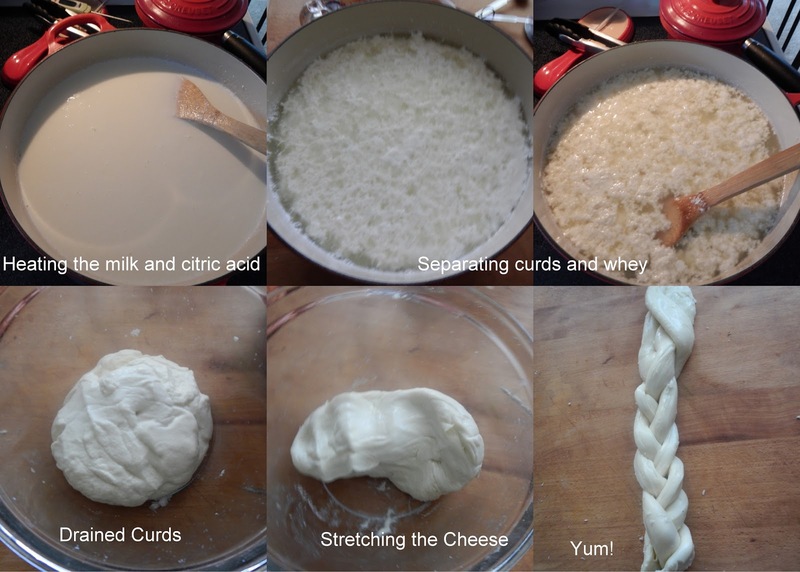 After the milk has heated for a few minutes, you add in rennet, which causes the milk to clot and separates the curds. The curds are removed from the whey, formed into a solid mass, then heated and stretched. Altogether, the process took about 30 minutes. I'm definitely doing this again! If you're interested in a cheese-making kit, mine was from http://www.cheesemaking.com.